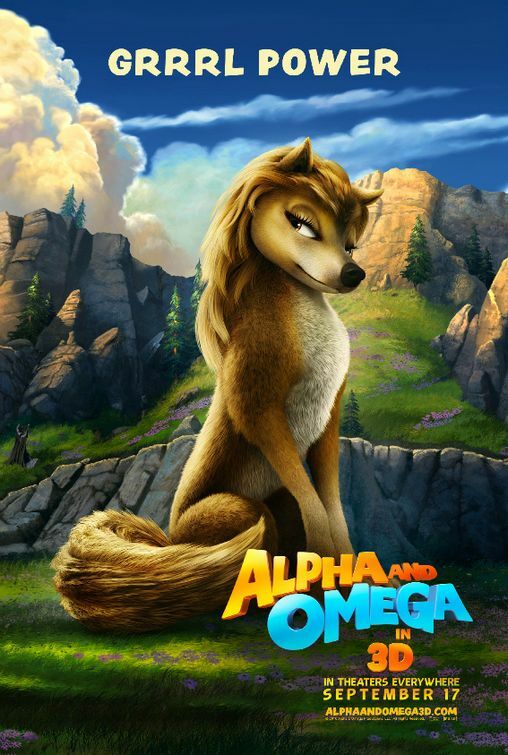 The movie Alpha and Omega: trailer, clips, photos, soundtrack, news and much more! Lilly (Christina Ricci) tells Humphrey (Justin Long) turtle jokes. The duck is giving a Thai massage to the turkey! Alpha and Omega – The caribous are laughing at us. 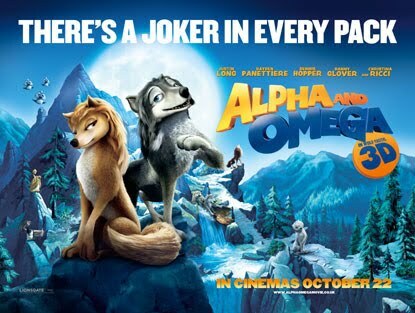 Omega is such a funny wolf! 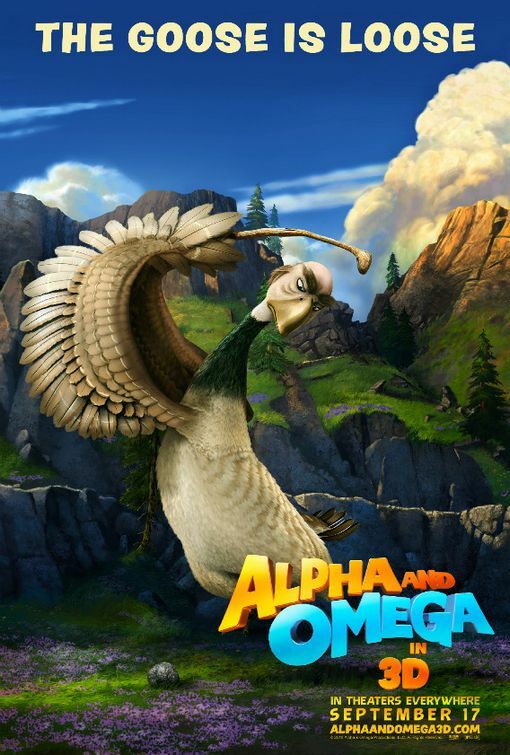 The story of Alpha and Omega revolves around the wolves, but the duck and the turkey will probably steal the show! Young kids will love this movie. There’s a joker in every pack! Those wolves look so cute! They still have fangs though… So, don’t tease them or they may bite you! 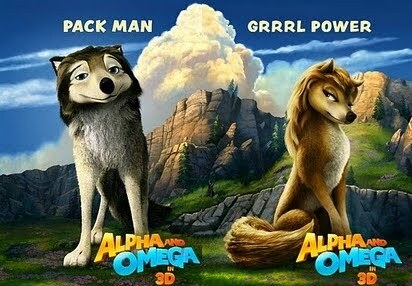 Grown ups probably won’t like Alpha & Omega, but I ‘m pretty sure the film will be a winner with kids. Looks like a great movie, one that kids will definitely enjoy! 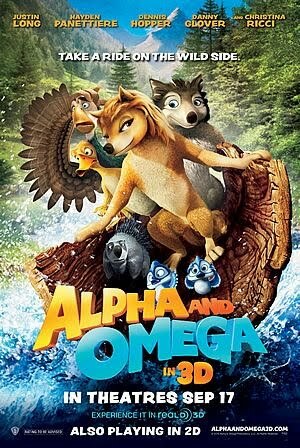 The movie Alpha and Omega will be released September 17, 2010. 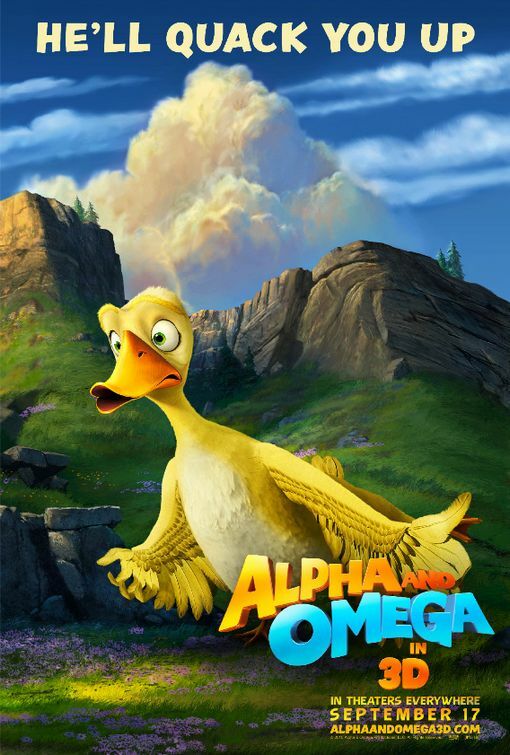 Alpha and omega is an upcoming 3D CGI animated movie directed by Anthony Bell and Ben Gluck and produced by Lionsgate. 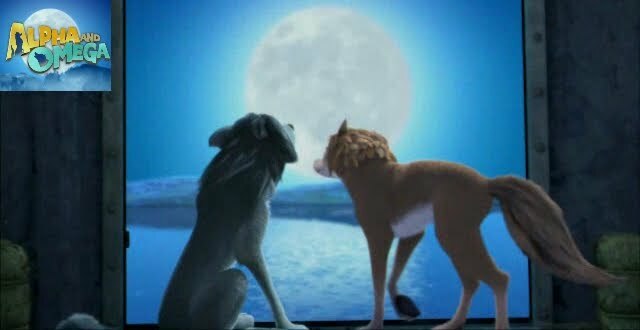 Hayden Panettiere and Justin Long are lending their voices to two wolves, the protagonists of the story. The film will be released on October 10, 2010. “Kate and Humphrey are two wolves who are nothing alike. Kate’s an alpha wolf – to her, discipline, duty and responsibility are everything. 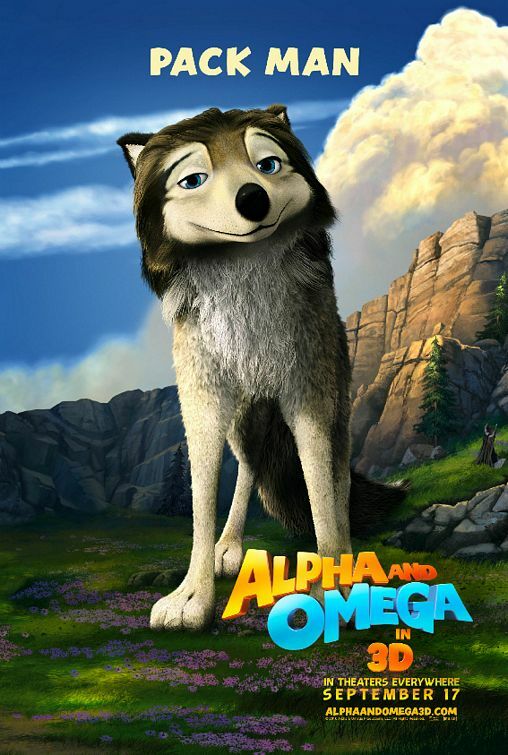 On the other hand, Humphrey is an omega wolf — fun, friends and frivolity are what are important to him. In the world of wolves, alphas and omegas don’t mix, mingle or mate – such is pack law. As the alpha wolf daughter of the western pack leader, Kate is arranged to marry Garth, the alpha wolf son of the eastern pack leader, not for love but to prevent a deadly war between the two packs. But the marriage is put on hold when, unbeknownst to anyone, Kate and Humphrey are taken by park rangers from their home in Jasper Park, Canada and relocated to Sawtooth Park, Idaho. 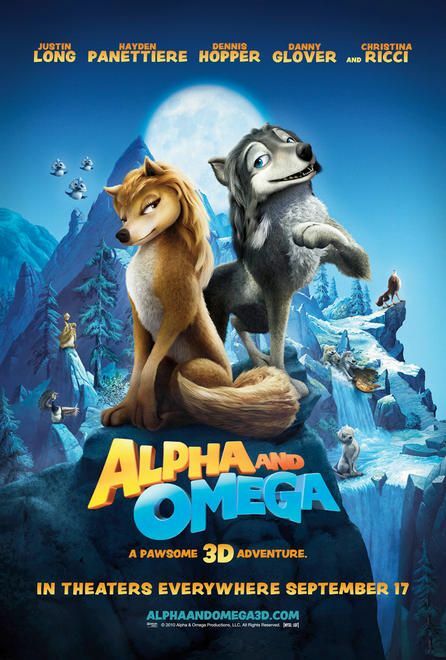 Judging from the picture above, the movie Alpha and Omega won’t look a good as a Dreamworks or a Disney Pixar movie… But that cute wolf could win my heart any day, even if the CGI isn’t top-notch… And I can imagine intense 3D rides though the forest during the epic journey of Alpha and Omega.